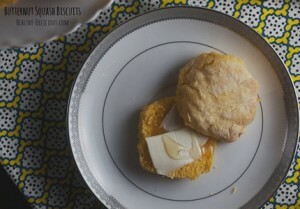 Fat free biscuits thanks to healthy-delicious.com, our Featured Foodie. Lauren substitutes butter for squash puree and it works wonderfully. Heat oven to 450 degrees. Line a baking sheet with a silicon liner or parchment. In a mixing bowl, combine 2 cups flour, sugar, baking powder, and salt. Stir in the squash puree and milk to form a very soft dough. If the mixture is too wet, stir in additional flour, 1 tablespoon at a time, until dough forms. Place on a lightly floured surface and knead 10 times; pat into a ½-inch thick disk. Cut with a 2-inch biscuit cutter and place on the prepared baking sheet, with the edges of the biscuits just touching. Re-roll and re-cut scraps. Bake 10-12 minutes. These biscuits are best warm from the oven but will keep about 3 days in an airtight container. for the best results, use flour with low protein.